In a country where the vast majority of us rely on cars as our primary transportation, most of us have to own one. And sooner or later, we find ourselves wondering—what’s the best way to sell a car? What should I be considering? If and when you’re trying to decide how to sell your car, here’s an overview of your basic options. Selling a car privately—doing it all on your own—is the most basic, old school way to go. And in some ways, it’s still the best. But it also has more risks than the other methods. Selling privately used to be a matter of putting a sign on your car and listing it in the classified section of the newspaper. 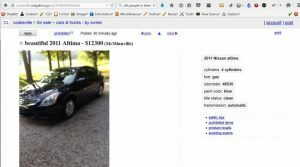 Now it’s mostly Craigslist, and sometimes sites like Autotrader, Cars.com, etc. A lot of people never consider selling their car on their own; they just trade it in to a dealer when they go to buy their next car. It’s easy, but selling a car to a dealer—or trading it in—means leaving a lot of money on the table. Speed. If your question is how to sell a car fast, this is the answer. You can just drive to the dealership, and trade it in on a new one that you want, or sell it outright to the dealer. Safety. Car dealers aren’t always known for being the most honest types, but as far as your personal safety or being truly scammed, you don’t have to worry. Lowball price. Whether you’re trading it in or selling it to the dealer, you’ll invariably get an absurdly low price for your car. They have no choice; dealerships employ a lot of people, and generally have large buildings and lots, large inventories of cars… all of that costs them a lot each month. So to stay in business, they need to have big margins between what they pay for a car and what they can sell it for. 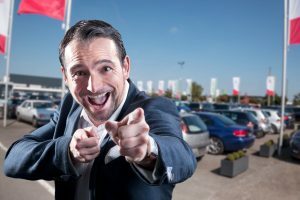 These days, many dealers (even if they’re a dealer for the manufacturer of your car) tend to just wholesale used cars right away, rather than even bothering to put them on their lot for sale. Which means an even lower price for you. Stress. A lot of people are traumatized by even the thought of setting foot in a dealership. Sometimes that’s warranted, and sometimes it isn’t, but there’s no question that it’s a high-pressure environment. Some local dealers, and several online dealers, like SHIFT, offer consignment. Basically, you give them the car and they advertise it, and handle interested buyers and test drives until it sells. If you can afford to buy your next car before your old one sells (so that you have something to drive), consignment can be very convenient; you don’t have to deal with advertising the car, or meeting potential buyers for test drives. You won’t have your car anymore… and you won’t have the money from it, either. It could be weeks, or months, before it car sells and you get paid. Consignees (the term for a dealer who takes your car and works to sell it while you still own it) usually have a lot of the same overhead as a regular dealer—property, employees, and sometimes free vehicle shipping/delivery—and they have to cover those costs. Which means the sale price of their cars is typically on the higher side—so even if you’ve agreed to a net price that you’re okay with, and will eventually get—your car isn’t likely to sell very quickly. “5 days or 200 miles to return it.” A lot of consignees offer this sort of guarantee. Which is great for the buyer, but—considering that you still own the car—should scare you. Do you really want someone taking it home for 5 days, driving it, parking it, eating in it, carting people around, who knows what else… and then bringing it back? Some consignment services (not all) will require you to agree to let them perform repairs, maintenance, and detailing on your car in preparation for sale. You often see complaints from car owners that their dealer had recently serviced the car and found no repairs needed, but then the consignment service claims it needs work, which they perform and then take out of the seller’s profit. If you list with a consignee and then eventually decide to take your car back and either keep it or sell it on your own, you’ll likely find yourself with a large bill for all the detailing, repairs, and other miscellaneous costs that the consignee demands before they’ll return the car to you. 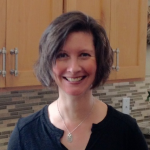 Finally, there are solutions—like TRED—that are a combination of several types of selling. (Time for the shameless plug!) At TRED, our goal is to strike a balance—we help you get more money by selling privately, while also providing the safety and assurance of buying through a dealer. If your car is leased or financed, we can also help you sell it just as easily as if you owned it outright. Compared to the lowball trade-in/purchase price a dealer will give you, or the substantial commission that consignment services charge, our fee is considerably lower. That’s because we have a lot less overhead than they do. Our fee includes the cost of inspection, CARFAX report, listings on all the major car selling sites (including some that only dealers can post on), expert advisors, processing of payment and paperwork. We also provide fast, easy online financing for your buyer, and we protect you both by securing every transaction up to $200,000. Professional advertising and marketing. We advertise your car on 12 top sites, and use retargeting ads to remind interested buyers about your car. Fast online financing for your buyer. Safety. We handle payment and we guarantee title transfer, so you won’t get scammed. 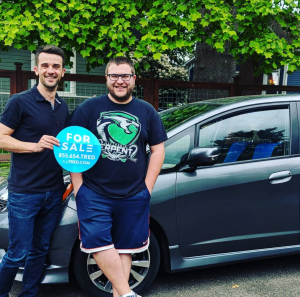 And when you meet buyers, they’re TRED members who communicate with you and book test drives through our website, so you’re not taking chances meeting anonymous strangers. Convenience. You don’t have to go to a dealership or the DMV. Work. You do have to participate in the selling process more than you would if you just traded your car to a dealer, or handed it off for consignment. We’ll need you to snap some pictures of the car, give us the VIN, and take it to get the (included) inspection. You’ll also show it to interested TRED buyers who may want to test drive it before they commit to purchasing. Whatever you choose to do, there are advantages and disadvantages to each option. Be sure to do your research, and know your goals (what you want to get out of your car price-wise, but also what works best for you in terms of the selling process.) Never do anything that makes you uncomfortable, and make sure you’re being safe and getting a fair price for your car. Is a Car Subscription the New Lease?